A great post from a college student’s perspective. I struggled with college and what pulled me out of it was a creative writing teacher who took lots of extra time to work with me and talk about direction in life. Many ADHD coaches recommend college students have a mentor, especially the first year. Here is what might help a student with ADD and ADHD from the student’s perspective. I know that it might be difficult and hard to deal with us but bear with it. I had really good luck with teachers who knew how to help me as well as directing me toward resources that might help me further down the line. If you can help a student towards what they love to do get them involved in something. The best thing that happen to me in my school carrier was when a family friend and also one of the best teachers I ever had told me to go try technical theater. It turned everything around for me. I had a reason to do well in school and started to do a little better. Here I am on semester break, the week between the regular school year and my summer teaching. (Due to my ineptitude at managing money, I always have to reach summers to get by). It’s, of course, a time of reflection, having decompressed from a semester put to rest and gearing up for a new one starting next week. It’s my first full semester on the ADHD medication, so that’s a further reason to reflect. One thing that stands out for me is a particularly difficult student I had that thwarted my confidence in my recent teaching innovations. (Some of which, I discovered recently, were not so new after all.) My biggest breakthrough was the grading conference, where I grade student papers together with the student. With online students, I do this via web conferencing software. Using this method, I’ve been able to reach more students than I have otherwise and teaching had become far less of an adversarial endeavor. But there’s always one. I had a student I couldn’t reach. He actually was an exceptional writer. The difficult students in the online class conference are the ones who don’t give me much effort toward interaction when we talk. We start the conference, and I say “How are you doing today?” and the answer is fine. I ask them how the paper or the class is going, and they say good. I ask them if there are any questions, and the answer is no. Usually, I can attribute this to nervousness or personality, but I can usually draw them out. This student was a hard nut to crack. His work was very good, but he never wanted to take any of my advice to make them better. I did not think this was arrogance, but I could never get through to him. Half way through the semester, he informed me that he no longer was going to do any rough drafts because he could do well without them, and by my syllabus, they weren’t technically mandatory. He would just take the point reduction. I tried different strategies to figure out what was going on, first being curious, and then trying to provoke him a bit by saying that it seemed arrogant and unprofessional. He didn’t return calls and only replied with polite, cursory emails, but never changed his mind. Of course this made me angry. I take the approach of giving students a lot of flexibility, and nearly all of them are appreciative and professional. Some of them are not able to finish the course, but probably would not otherwise. On rare occasion, a student tries to “game” the syllabus by trying to get maximum points with minimal effort. I don’t think this student was trying to do that, but it seemed he was deliberately self destructing. Most students understand that grading writing is subjective and try to remain on good terms with me. Not only did this student try not to do that, he didn’t see the point of working the whole process to earn the A he could easily obtain. The assignments for which he did all the steps earned her A’s, and the ones that he did without the steps earned her B’s, and with the penalties for not doing the steps, the overall average slipped into B- or C+ territory. I looked at her transcript, and saw that despite being the most talented writer I had that semester, he earned a C in her previous writing classes, despite being otherwise an A student. The most frustrating thing was that I didn’t know what was going on and this student would never tell me. Some of my colleagues attributed this to that off-campus site, saying, all those students in ——– are jerks. I had other students from there who were fine. But I never knew what was the case with this student. He was actually not a jerk, which was confusing and enraging by turns. Now, through the years, teaching thousands of students, I’ve had a hundred kinds of crazy. Usually crazy student behavior is perfectly understandable once I find out what’s going on. For instance, I overheard a colleague talking to a student who was going to file a formal complaint for being marked off three points for printing her final paper on used paper that had other thing printed on the back. Her defense was that it wasn’t in the syllabus and she was a poor student who couldn’t afford six sheets of paper. My colleague told me that she had all sorts of problems in the class and had just fixated on that. The point of all this is not to bash students. Usually, as I said, there’s something else going on. The point is that in past years I would really let one or two badly behaving students get me down. It would make me want to give up teaching, or redesign my whole course, or something, despite ten times the number of students telling me they like the course and are grateful for my help. Furthermore, with distance, I can remember that I have subjected my students to my own ten kinds of crazy through the years: my inconsistency, my excuses, my under-performance, my withdrawing. These two things would often feed on one another. When I would think of difficult students, I would get a sinking/anxious feeling, hot around the ears and neck, but weary at the same time. This student was one out of eighty that I had. Letting him get to me is emblematic of my larger problem with perfectionism and taking criticism. I am the polar opposite from someone like Scott Walker or Rod Blagojevich, who, despite plenty of evidence to the contrary, believe they are both right and popular. 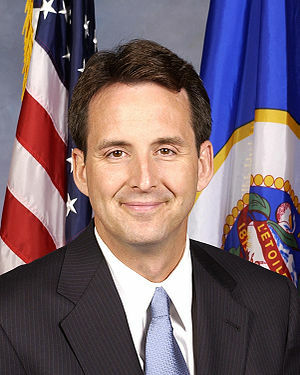 I’m more of the Tim Pawlenty presidential primary candidate: oh, one state doesn’t like me? I’ll just quit, then. However, I am not ready to quit, now armed with pharmaceuticals and strategies. I dare say I have elevated my attitude to mildly confident. This whole past six months has been about learning and finally accepting what I am good at and what I am not. I am slowly remaking my life to play to my strengths. On the positive side, I had three students this semester self-identify as ADHD, and all three successfully completed the course, in one manner or another. Interestingly, all of them sought out extra help, and none of them asked for special consideration or accommodation. Each required patience, though. Two students had trouble remembering appointments. One student’s strategy was to take the first available appointment and often show up on the wrong day—a day or two early. In fact, he knew he had trouble remembering to turn in assignments and so he would turn them in early and often. I would often get three copies of each assignment: one on the course web page, and one to each of my two email addresses! All three of them finished the course through extraordinary effort, just not always at the right time.